Product categories of Plastic Coated Welded Wire Mesh, we are specialized manufacturers from China, Vinyl Coated Wire Mesh, PVC Welded Wire Mesh suppliers/factory, wholesale high-quality products of Welded Wire Mesh R & D and manufacturing, we have the perfect after-sales service and technical support. Look forward to your cooperation! 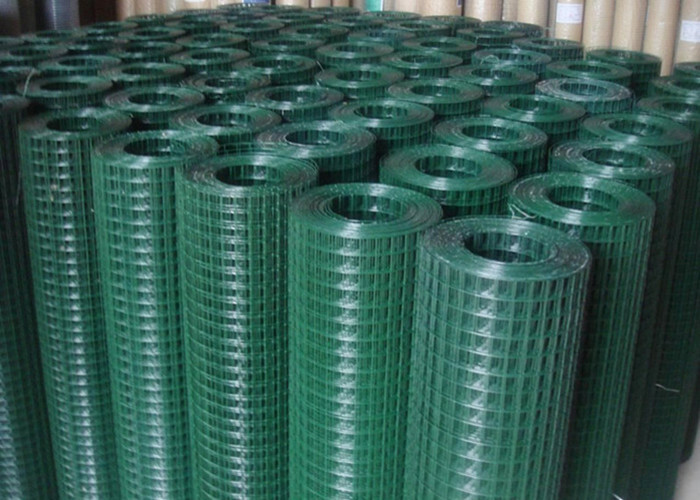 Plastic Coated Welded Wire Mesh is a kind of plastic coated after welding, the core Wires is usually electro galvanized or black wire, resulting in double protection against rust. Thick plastic coated layer is tightly bonded to wire, it will not peel easily. UV inhibitors in the vinyl retard degradation from sunlight. Coating is flexible and durable, it will not crack when the wire is bent. The coating color could be changed according to your needs, green, black, white and grey.